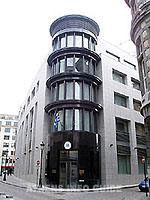 As any other Embassy or Consulate, the Greek Embassies and Consulates abroad can solve a lot of problems, point you in the right direction, answer your questions concerning Greece etc. In total, there are about 1.500 Greeks working in foreign missions. Most of them speak the local language(s). They all result under the Ministry of Foreign Affairs based in Athens comprising the central service, the regional branches and the service abroad. The latter consists of the diplomatic and the consular authorities. Permanent Representation to the Political and Security Committee of the E.U. 1416 Unity Blv, Belmopan Belize, C.A.